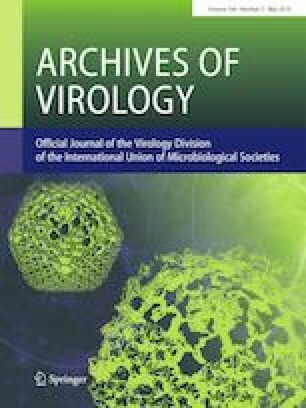 Hepatitis C virus (HCV) is the major etiological agent of hepatocellular carcinoma (HCC), which is the fourth most common cause of cancer-related deaths worldwide and second in terms of deaths of males (Bray et al. in CA Cancer J Clin 68(6):394–424, 2018). HCV-induced HCC is a multi-step process that involves alteration of several host regulatory pathways. One of the key features of HCV-associated hepatocellular carcinoma is the metastasis of cancer cells to different organs. Human Nm23-H1 is one of the best-studied metastasis suppressor proteins, and it has been shown to be modulated in many human cancers. Our study shows that the core protein of HCV genotype 2a can co-localize and interact directly with Nm23-H1 within cancer cells, resulting in modulation of the anti-metastasis properties of Nm23-H1. The HCV core protein promotes SUMOylation and degradation of the Nm23-H1 protein, as well as transcriptional downregulation. This study provides evidence that the HCV core protein is a pro-metastatic protein that can interact directly with and modulate the functions of cellular metastasis suppressor Nm23-H1. The online version of this article ( https://doi.org/10.1007/s00705-019-04151-x) contains supplementary material, which is available to authorized users. This work was supported by Grants from DBT, Ministry of Science and Technology (BT/PR15109/GBD/27/320/2011), a PURSE Grant from DST, and an R&D Grant from the University of Delhi. CP and LK received a Senior Research Fellowship funded by CSIR (09/045(1242)/2012-EMR-1 and 09/045(1135)/2011-EMR-1). This work also used original research material provided by Apath LLC for academic use via an ‘Academic Material Transfer Agreement’.